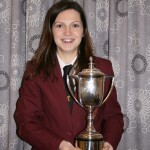 Cornet player Tina Wood received the Harry Farnsworth Memorial Cup for ‘Bandsmanship’ for her unstinting efforts behind the scenes. 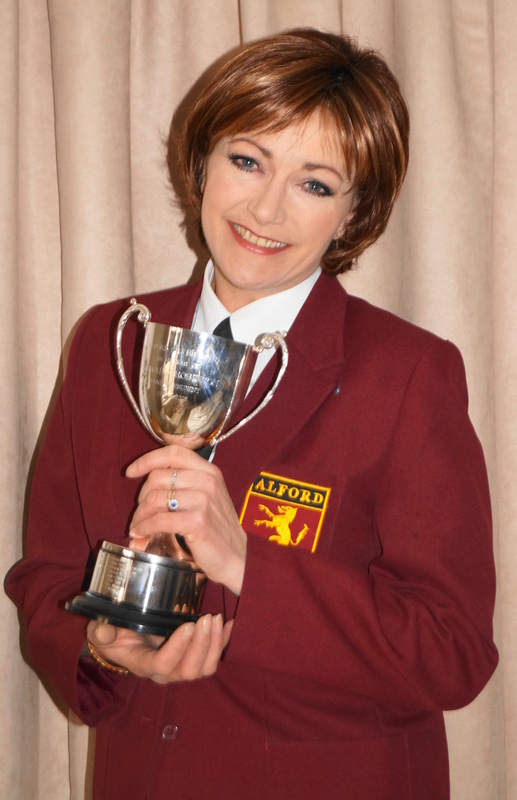 Sky TV weather presenter Jo Wheeler won the Edward Robinson Cup for the most progress made by a player, which was presented by the band’s vice president, Mrs Cecile Large. Martin explained that Jo had never played a brass instrument before she was recruited to the training band in January 2012. But just 14 months later, she is a valuable member of the horn section in the full band. Thomas Brook was awarded the Margaret Sutton Cup for the top member of the training section, presented by band president Margaret Sutton herself. Nominated by musical director Steve Walker, Thomas has proved to be a conscientious member of the training section and looks set to be a future asset to the main band. 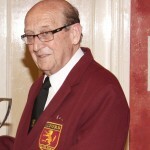 The Sally Walker Shield, presented by band member Jim Walker in memory of his late wife is the band’s “players’ player of the year” award, the recipient being chosen by the full band membership through a secret ballot. Unfortunately, this year’s recipient, bandmaster Alan Waite was taken ill the day before the awards ceremony and was unable to attend. Band chairman Martin Briggs accepted it on his behalf.